It’s hard to remember a time when the National Football League took more hits to its image and was suffering more public relations damage than this year. In fact, during what should have been a time to celebrate last week, instead the league found itself embroiled in new controversy over something that won’t even come into play for another four years, the collective bargaining agreement (CBA). It took a lockout and many heated discussions and sessions before the players and owners agreed in 2011 to the current 10-year agreement. A major part of that deal revolved around the players ultimately agreeing to allow the commissioner the power to singlehandedly decide issues of discipline, and to function as sole arbiter in all situations, something that neither MLB or the NBA allows. The players in exchange for that got a series of ancillary demands granted, among them a rookie wage scale, shortened offseason camps, reduced practices with pads during the season, and some other concessions. But there were a handful of players who urged the National Football League’s Players Association (NFLPA) NOT to allow the commissioner that kind of absolute power. Eventually though the players relented, in part because they recognized that this was something that the owners were united in supporting. But they quickly realized that allowing one person to be judge and jury doesn’t often work to their benefit. Roger Goodell has fashioned himself a “law and order” commissioner, and has frequently made hugely unpopular decisions. When he hasn’t been perceived as stern enough, as in the initial ruling on Ray Rice, he has reversed his stance, opening him up to the charge of being too easily manipulated by public opinion. However the overwhelming view held by the players is that he is far too quick to pass judgment and enforce discipline. Goodell has even said on more than one occasion that he doesn’t need or have to wait for the courts to act, something else that many players feel amounts to someone making up their mind on an issue without knowing all the facts. Because the owners like the perception of a “tough” commissioner, it was no surprise last week that they offered Goodell, who’s been commissioner since 2009, a five-year extension that would continue on through the next CBA. As soon as that announcement was made, DeMaurice Smith, current head of the NFLPA, made an announcement of his own. Some sort of walkout or strike prior to the 2021 negotiations for the CBA “was almost a sure thing,” Smith said. So the specter of either a players strike or an owners lockout is now almost a sure thing. That’s the last thing a league already beset with allegations of blackballing and rampant player misconduct needs. But this has been looming for a long time. Numerous players are very upset that in their view Goodell always assumes guilt in every situation. They are even more disturbed about the concept that even if a court of law doesn’t find them guilty of anything that the NFL can impose a conduct suspension. They argue if they didn’t break any laws, then how has their conduct hurt the league? The Ezekiel Elliott case is the latest to raise that dilemma. 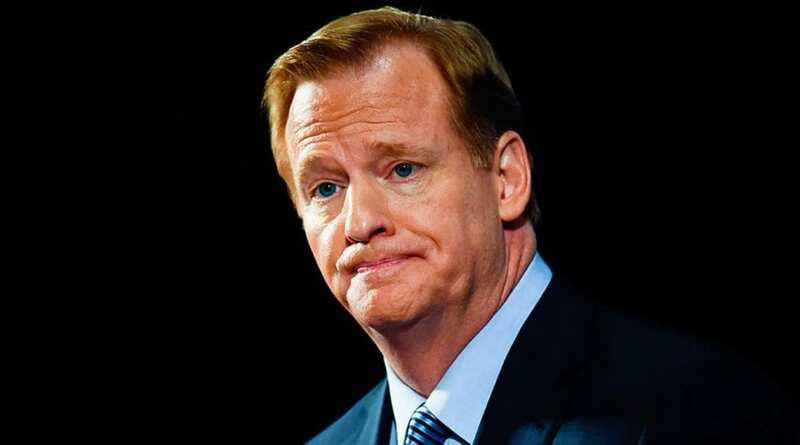 He has formally appealed the six-game suspension imposed by Goodell under the conduct clause, arguing that the allegations of domestic abuse against him were never brought to trial. The NFL’s response is that their lengthy investigation does show a good probability of abuse, even though their records also detail a pattern of inconsistent testimony from his accuser, and a threat of extortion, with an alleged statement that the word of a white woman would be taken over that of a Black man. At a time when the NFL should be enjoying a lot of good publicity over its upcoming season, it instead is besieged by the possibility of a future strike, plus the unresolved Kaepernick situation and the Elliott appeal. Hardly the types of issues any sports league wants to address at any time.